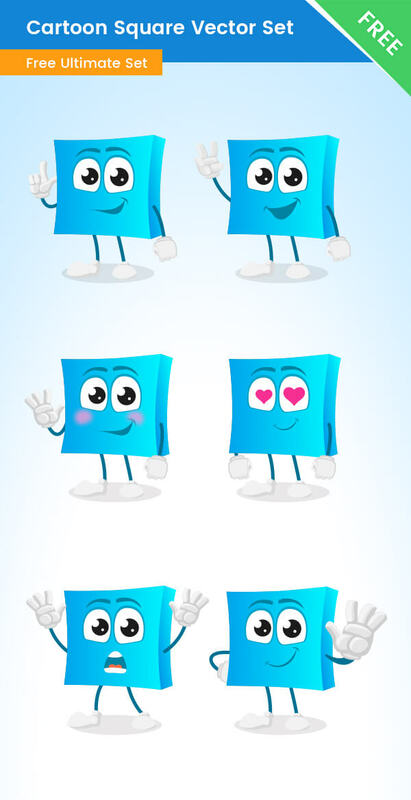 A cartoon square vector character made in a set of 6 poses. This square is perfect for learning shapes and colors. Our square character is made in a modern eye-catching blue color, but you can easily change the colors and make him even more interesting for kids. You can do that with just a few clicks, because we’ve made this square with vector shapes – they can easily be modified. In this collection, you will find this square in different poses such as hello, making a point, shy, inlove, shocked… and all of the poses are available for free download.